This essay reflects on some community dynamics underlying neo-shamanic practices, starting from a review of field-notes taken by the author in the course of an ethnographic experience conducted in an urban context, in Colombia. The observation of the social and ritual procedures played by neo-shamanic therapists in post-colonial contexts reveals how indigenous performance has had to transform itself to survive the cultural pressure imposed by the hegemonic rationalism of modern mechanisms of knowledge. Urban shamanism, as an emerging social phenomena, appears as a hybrid creation, synchronizing forms and contents of the traditional shamanic practice with the post-modern needs of disciples (and clients) looking for their psycho-social balance in a climate of growing deindividuation. 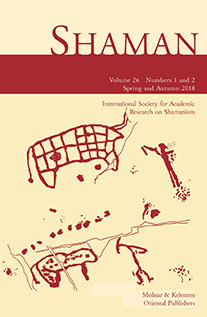 If ethno-biological knowledge were the core skill of traditional shamanism, neo-shamans prefer to strengthen their social position thanks to the tools offered by the same modernity (such as the ICT) and to confirm their social role of mediators and therapists through the development of a syncretic paraphernalia and a community of faithful aficionados. Such was the impact of the Lutheran Church’s conquest against the Sámi, the indigenous people of the Lapland, between the seventeenth and nineteenth centuries that the Sámi noaidi drums which were tools used to assist the shaman in out-of-body journeys, trance, healing and divination, were sought after, collected and destroyed in their hundreds. The zones or borders painted on the drum head divide the instrument into cosmological zones or structures in which recordings portrayed as symbols were made of scenes related to hunting, fishing and trapping practices. 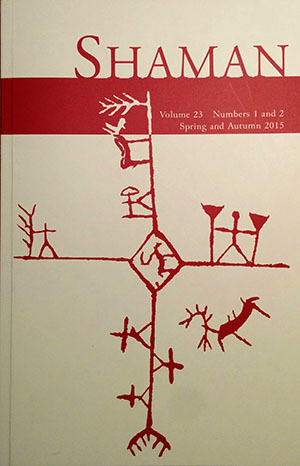 Of the remaining drums found preserved in museums throughout Europe, researchers still face difficulties regarding the analysis of complex intricate and artistic symbolism portrayed on the drum skins of particular drums where there are no records of ownership and interpretation of the drum content which is what this paper addresses. The aim of this paper is to analyze changes in Soviet textual practices regarding the role of shamans in Siberian indigenous peoples’ lives and in conflicts between power structures and natives during the 1920s and 30s. The genre of a text has a secondary importance in reflecting the dominant discourse. At the same time, it has significant influence on shaping realism and fabulation in the studied texts. This paper will conclude with the argument that the truth in descriptions of Siberian shamans’ lives and actions during the 1920s and 30s can be best estimated when taking into account the themes of the discussed texts. The article explores the narrative tradition of the supernatural among the healers (bej) in rural Assam, North Eastern India. Whereas stories about assistant spirits, birâs, concern the contemporary life of the villages, the weretiger tradition tends to be projected onto the historical past. The article argues that the supernatural world is actualized and evoked through the practice of storytelling and verbal communication, which also forms the framework for magical practices. Variation of details about people, objects and events in narratives creates a liminal world of uncertainty, where the storyworld coalesces with social reality and extraordinary events become real. Asking what is relevant in a ritual process and to whom, this article follows in detail a short sequence of an agricultural bhume ritual performed by the Dumi Rai of Eastern Nepal. On the basis of this example, it is suggested that moments of excitement or bewilderment among our local key partners can provide points of entry for a deeper understanding of their culture. Discussing the conceptual difference between correct and perfect ritual action, the article arrives at a pragmatic approach to the ‘work of ritual’. Based on the locally perceived equivalence between ritual work and other, everyday work, it is suggested to employ by analogy a notion of a ritual ‘working contract’ between today’s living community and the ancestors who are addressed in the greatest part of rituals among the Rai. This paper is, on the basis of a diachronic methodology, to explore how religion in a local society, in particular Ladakhi shamanism, has changed or transformed in the present process of interactions with religions and ethnicities. Ladakh is one example of such societies that have maintained their indigenous cultures under constant interactions with other religions and ethnicities. Buddhism flourished in this region from as early as the middle of the eighth century. Since the sixteenth century Ladakhi have had a history of encounters of other religions: Islam and Christianity. The analysis is based on source materials collected during my field research on village shamans in the 1980s, 2003 and 2009. First, the impacts of Tibetan Buddhism on Ladakhi shamanism are examined based on the field data collected in the 1980s. Second, the outcome of recent encounters of religions is explored focusing on the relationships between shamans and multi-ethnic/religious clients, including Muslims, Christians, Hindus and others, in terms of changes of shamanic practices during the 1980s and 2000s. Finally, the trans-bordering and/or trans-cultural characteristics of Ladakhi shamanic practices are presented in order to show a new framework for the mechanism of religious interactions in the face of modernity.